Makeup Revolution are a fantastic, new affordable brand with great quality products. I introduced the brand in a post here, along with some swatches of some really awesome products - please check it out. 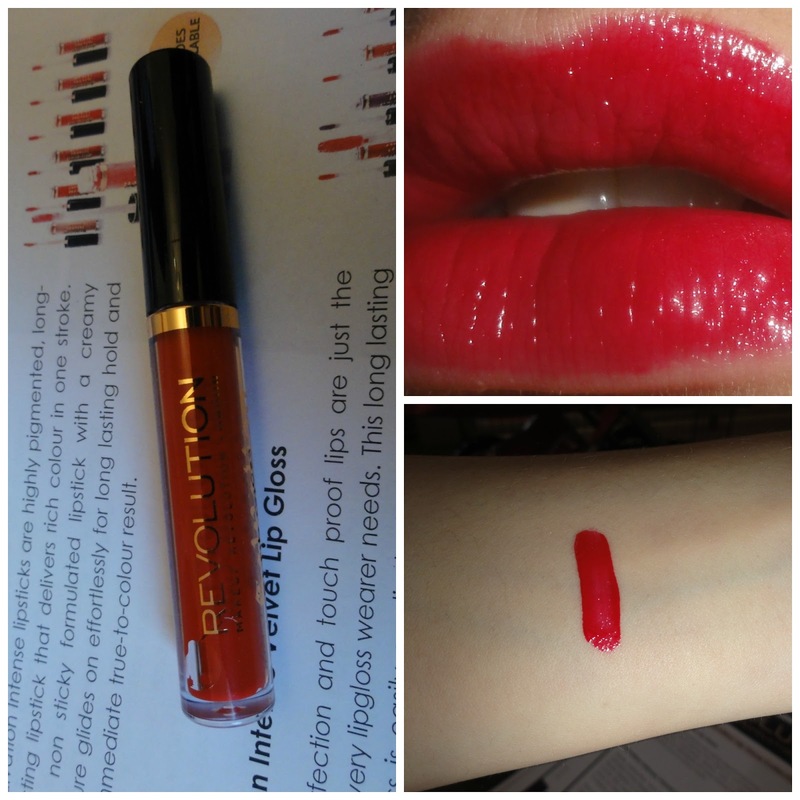 It's not often you come across a lip gloss that's not only affordable but great quality, that all changed when Salvation Intense Lip Lacquer came into my life and I've been loving it ever since. This lip gloss is exactly what it says in it's name, intense. A bold statement lip with a glossy, hi-shine pay off. My shade, A Love Like That glides on like a dream and is pure lip gloss perfection. The formulation is non-sticky but prone to a few hairs getting stuck on a very windy day, I can over look this when you see the intense colour pay off, in just one swipe (yes, you heard correctly. One!!). I'm pretty sure you lips will grab attention if you did two layers, that's if they don't already. The wear time is pretty good for a lip gloss around 3/4 hours, depending on how much you eat and drink. Packaging is pretty basic but nice enough considering this lip product is just £3.00 and also available in 7 other shades and for those who prefer a matte lip you can get these in velvet matte form for the same price and also available in 7 shades. Now, if you excuse me, I need to go shopping and pick these up in a few more shades. I love the colour, and I'm a massive fan of having glossy lips. I'll have to bear this brand in mind the next time I need to restock my lip collection. wow, I haven't heard anything about this brand before! That shade is super, duper stunning though!! !